Ambitious initiatives that have successfully tapped into community strengths are honoured with CEA’s 2014-2015 Ken Spencer Awards for Innovation in Teaching and Learning. From inquiry and ‘start-up’ high schools, to mentorship, cultural and environmental appreciation, and instilling a love of Math, a tenacious group of Canadian educators and community leaders have developed impactful programs that embed deep learning while challenging our traditional concept of school. This year’s Ken Spencer Award winning programs tap into students’ passions, which lead to increased motivation through meaningful relevant learning. These models exhibit well-nurtured growth, creativity, flexibility, and potential scalability to additional classrooms and schools. Their success relies upon trusting relationships built between students and teachers, mentors, business leaders, and parents, which serve to reconnect many disengaged students to a love of learning. 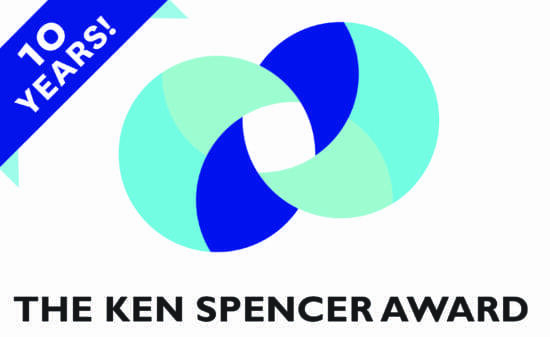 Ken Spencer Award recognition ceremonies are being planned in the communities of many of the seven winners. This is the sixth year of this award, and CEA would like to thank all of the school and school district staff for their time and effort in the preparation of the application packages. Now in its third year, Inquiry Hub Secondary School (iHub) includes 53 students in Grades 9-12 in a blended face-to-face and online inquiry-based environment. The new learning structure at iHub is no longer limited to traditional course subject delivery, timetables or grade levels because students are provided significant time and resources to define and explore their own inquiry projects, whether they are working through core courses or experimenting with a 3D printer, coding a new app, or writing a story. How does a community pull itself out of spiraling economic decline after the loss of its primary industry and stem the youth exodus after high school graduation? Combine an entrepreneurial high school principal, a community business leader and an industrious group of high school students to work together to create a community culture of entrepreneurship to refocus the future labour market. “Living the Start Up” establishes a relationship between students and community entrepreneurs to focus on emerging technology-based start-up opportunities, rather than the shrinking selection of traditional occupations. Fieldcrest Balanced Math has improved students’ attitudes towards – and achievement in – mathematics. This is a sustainable and scalable program that deeply engages students in a relevant, purposeful Math learning experience. Student achievement on classroom and provincial assessments in math is strong, and both teachers and students report growth in oral and written communication, the ability to problem-solve, fluency in Math facts, and the enjoyment of Math. When students begin asking for Math, or cheer at the mention of Balanced Math time, teachers are encouraged to continue to plan with this instructional approach in mind. With teachers sharing with colleagues throughout Simcoe County, this program has had rapid and widespread growth in both formal and informal learning settings. Originally developed to combat the poor diets and low level of nutritional understanding among the largely Indigenous student population, this gardening and ethnobotany program has gradually grown into a multi-faceted educational experience. Students grow several dozen crops, from herbs, heirloom tomatoes and First Nations beans, lentils, rye, along with Einkorn and other heritage grains. Last fall, students grew, harvested, processed, prepared, and consumed over $1,000 worth of produce. Food grown has been used in a Healthy Lunch Program and in a “Local Dinner” fundraiser featuring wild and local foods such as char, muskox, and reindeer. Students also participate in other service learning projects using produce they have harvested as ingredients in meals for the local Soup Kitchen. This program represents a model for other northern schools wishing to increase student engagement while improving attendance, and nutrition. Wayfinders high school tutoring and mentorship program was designed to interrupt the effects of poverty and marginalization that lead to students dropping out of high school. By reaching out to students not actively engaged in school and students victimized by poverty and race in a neighbourhood where the graduation rate was only 50%, Wayfinders provides opportunities for mentoring, tutoring and volunteer endeavours in an extended school day. In seven years, Wayfinders has grown to include 300 students, two thirds participating four hours or more per week and more than 80% achieving course completion at their particular grade level. Relationships are built with each and every student, which strengthens their connection with school, family and community, and empowers students’ to explore their identity, personal growth and peer leadership – they now want to attend school. Three-quarters of Wayfinders graduates are now attending post-secondary schools. No Class‘room’ Needed (NCN) is a collaboration between two Lloydminster schools and one in Uganda through a partnership with community-based organization Our Village Uganda (OVU), which supports over 350 students. Through regular technology-enabled connections, OVU began sharing their stories with over 700 Lloydminster students. Students on both continents incorporate critical and creative thinking, analyzing, synthesizing, evaluating and problem solving; to real-world issues in both communities. One initiative specifically focused on OVU’s need for energy. HRHS raised nearly $6,000 to support the first two phases of a solar energy initiative at OVU, which was constructed last summer. Learning opportunities inherent in this activity; what was needed, the why’s and how’s, are plentiful. Island Discovery is a public alternative program located in many communities throughout B.C., with it’s original location on Bowen Island. This program has grown from 30 students on Bowen Island 12 years ago to almost 400 this year. Teachers and mentors are enlisted to share their own wisdom while parents are actively involved organizing community events such as potluck dinners, picnics, and dances. Activities include, for example, a group of families who have created a two-day outdoor education program, where students spend one whole day on the farm learning sustainable farming practices, and another day in the forest, learning from an ecology expert (Fresh Air Learning).